About 40% of the drugs currently used are derived from natural sources. Most are pure substances which are isolated from various organisms and used directly or after chemical modification. 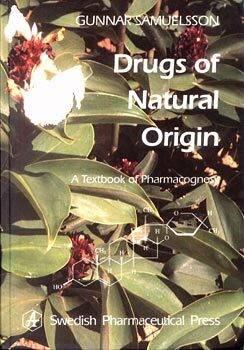 This book describes the origin of such compounds, their chemistry and biochemistry as well as their employment in medicine. The material is arranged according to biosynthetic principles, a unique feature which places the substances in a natural context and facilitates the understanding and learning of teh often complicated chemical structures. The author, Professor Gunnar Samuelsson, Uppsala University, Uppsala, Sweden, has been engaged in research and teaching of pharmacognosy for more than 35 years. His main research interests are isolated and structural elucidation of pharmacologically active plant constituents.